Hit the bulls-eye with Archery Camp! Many young people are looking for their first chance to shoot a bow and arrow, and our Junior Archery Camp is a perfect way to start! 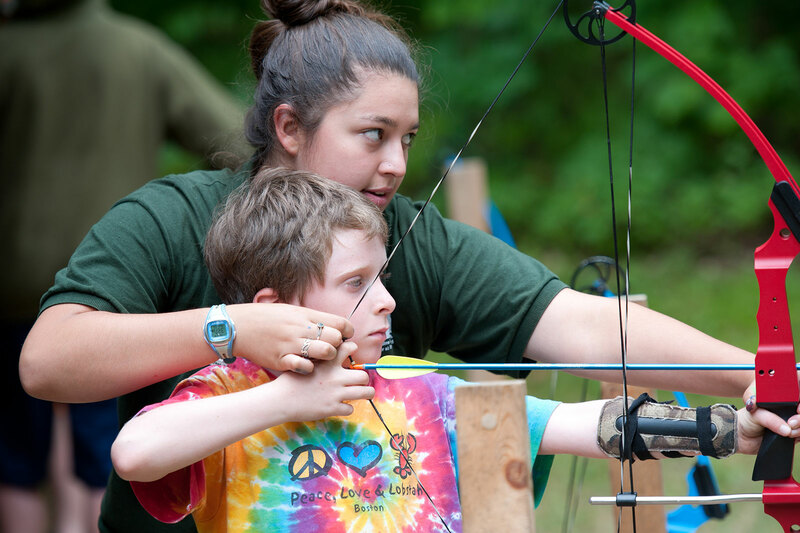 This program, for ages 10 – 12, enjoys all of the great camp-wide activities you’d expect here at Bryant Pond, and has a focus on basic archery shooting. We’ll begin with safety and equipment, and then it’s off to the range for some hands on fun! Our Genesis Bows are perfect for the young shooter, and as they progress, they may have a chance to shoot the recurve bows as well. Once on “target”, we’ll work on accuracy and shooting form and other shooting activities such as 3-D shooting, and games. With a solid foundation, we hope to inspire the next generation of future archers. Other activities will include swimming, canoeing and kayaking, ropes course, hiking, and many other camp offerings. Junior Archery is led by certified 4H Shooting Sports instructors.